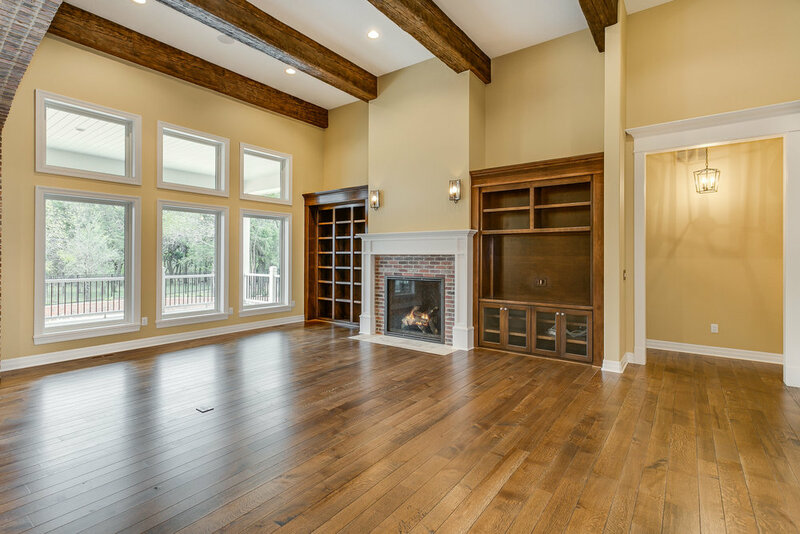 4 bed · 6 bath · 3,229 sq ft. 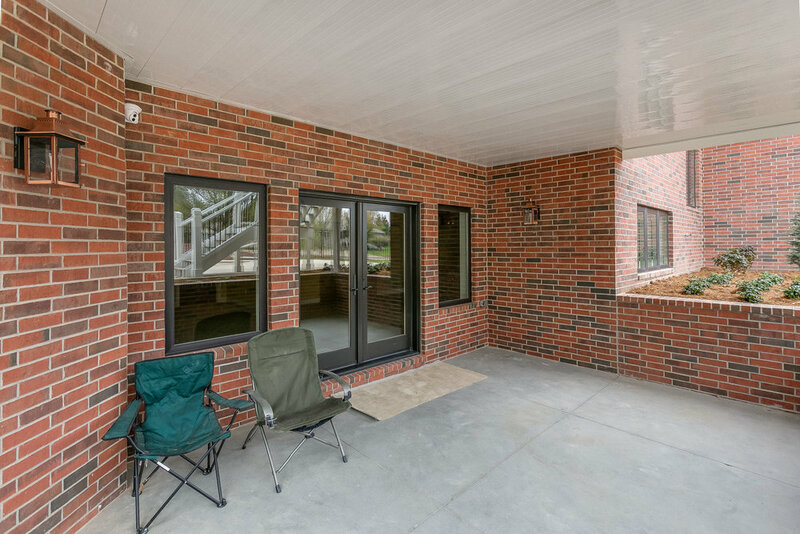 The large covered front porch along with a warm exterior stone and light trim with copper accents extend a friendly and cheerful welcome. 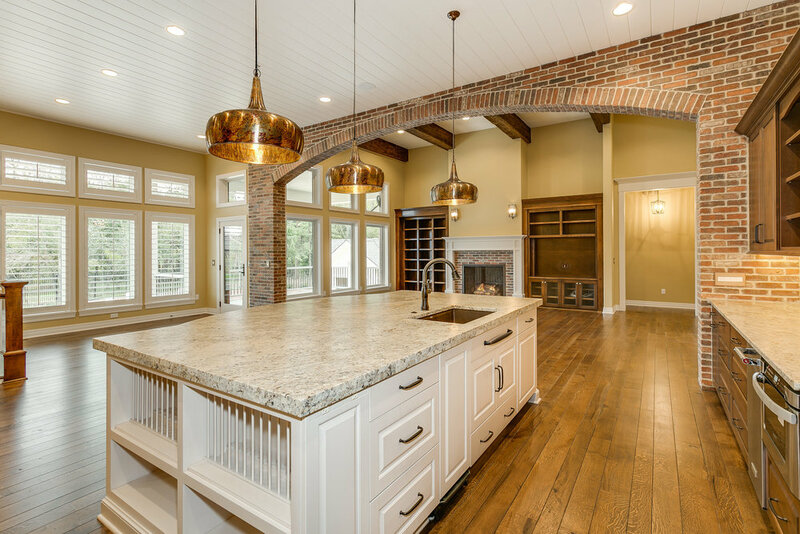 Interior brick archway, high ceilings, beams, and wood floors in the main living areas all carry that warm comfortable Cape Cod feeling inside. 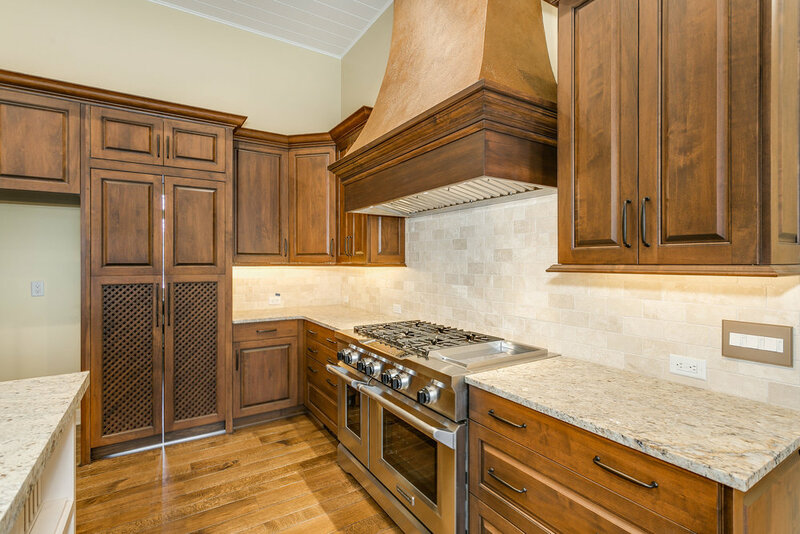 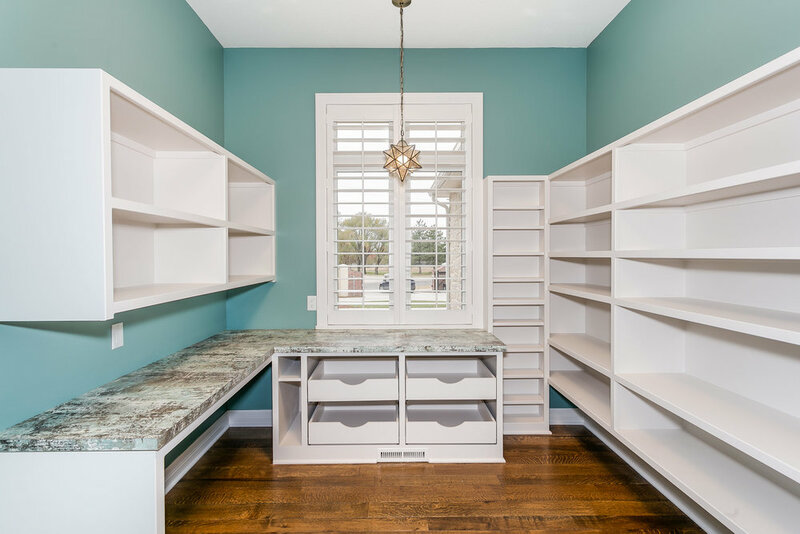 In addition to the entry foyer, formal dining room and great room with a fireplace, the kitchen includes a large walk-in pantry, a dining area as well as a cozy sitting area and built in desk. 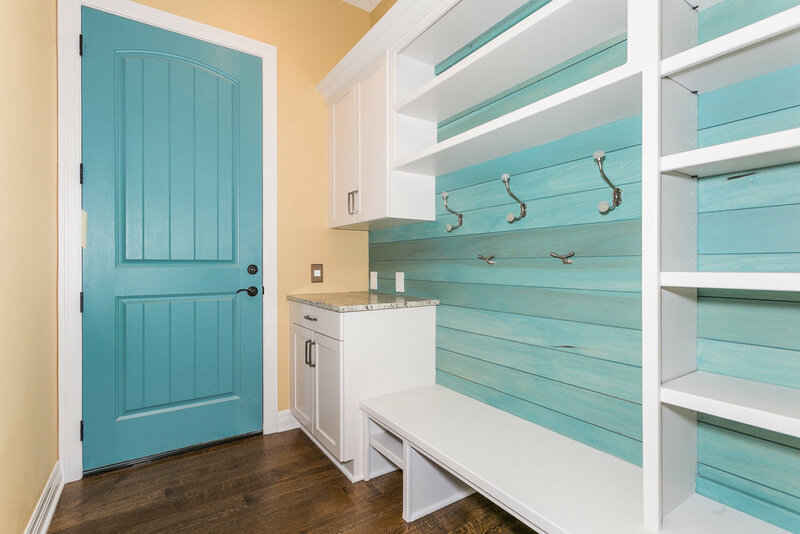 The private master suite has a wood planked ceiling and spacious bath and closet. 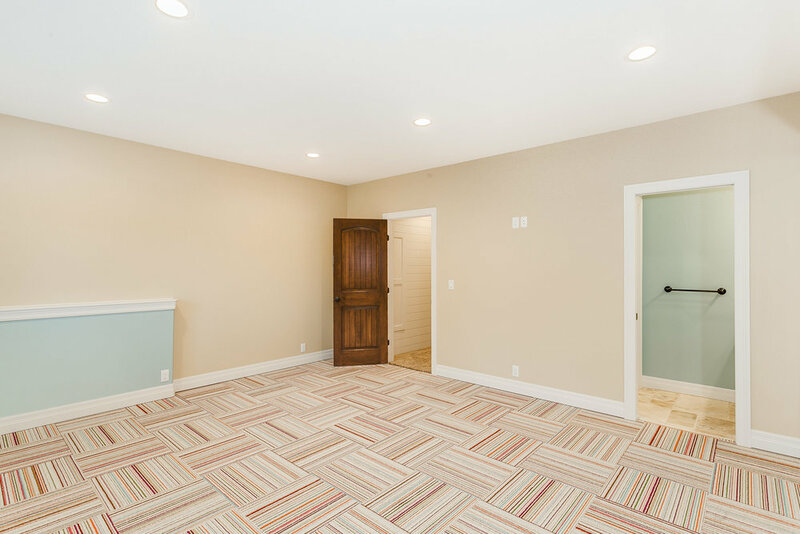 This split plan has two additional main level bedrooms each with unique wood elements and a full bath and a walk-in closet. 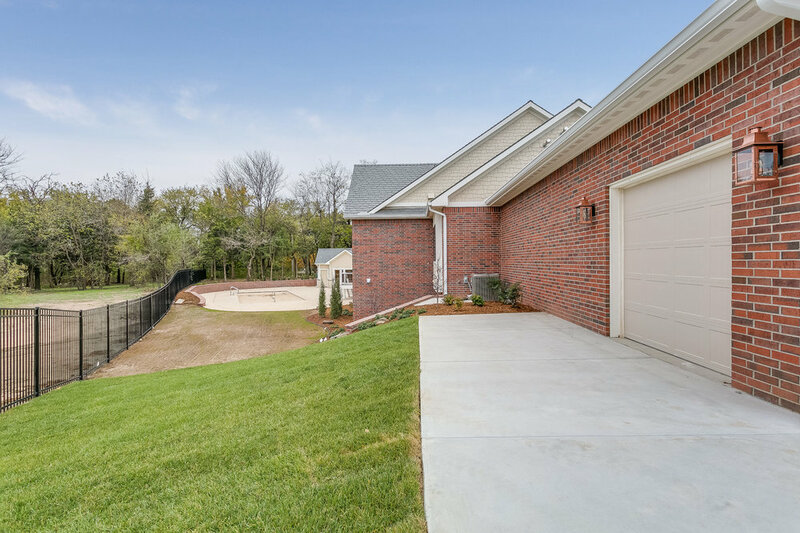 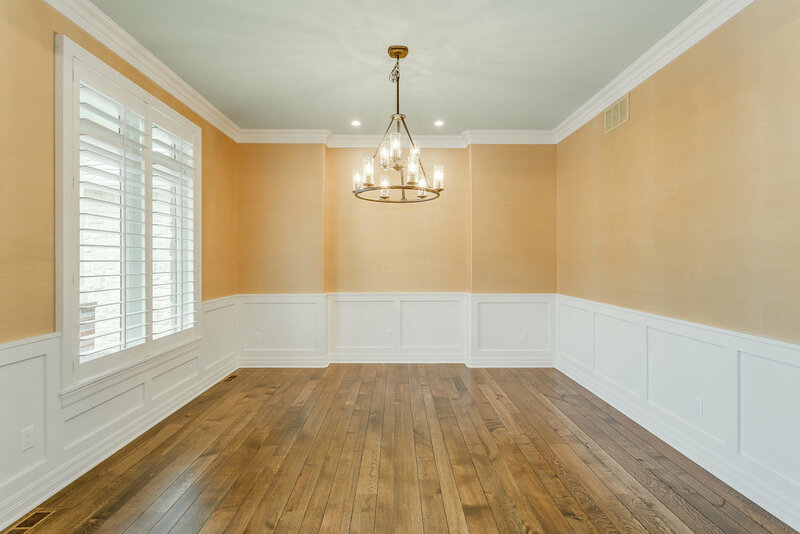 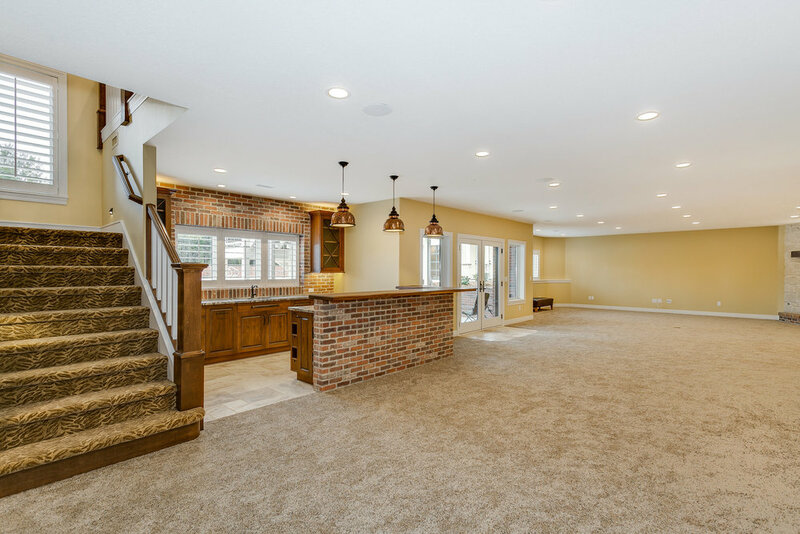 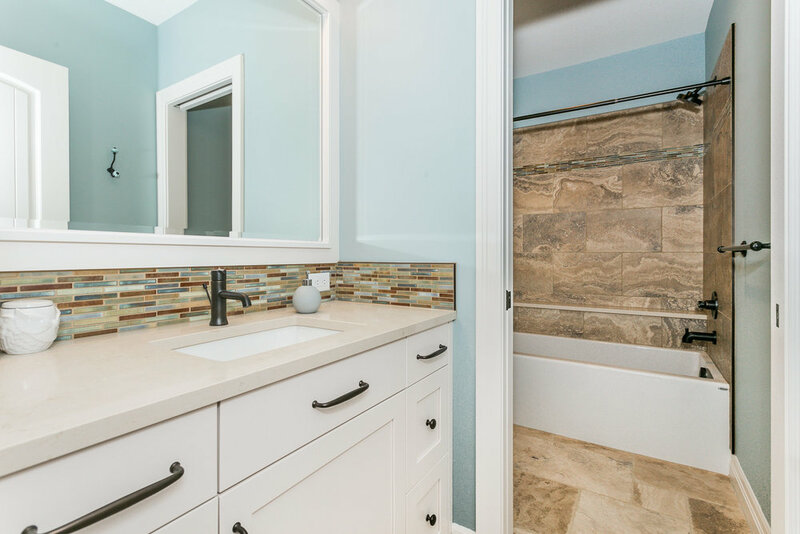 The lower level is finished for family, guests, or entertaining with a large family room, wet bar, fireplace, a guest bedroom and workout room connected by a Jack and Jill bath. 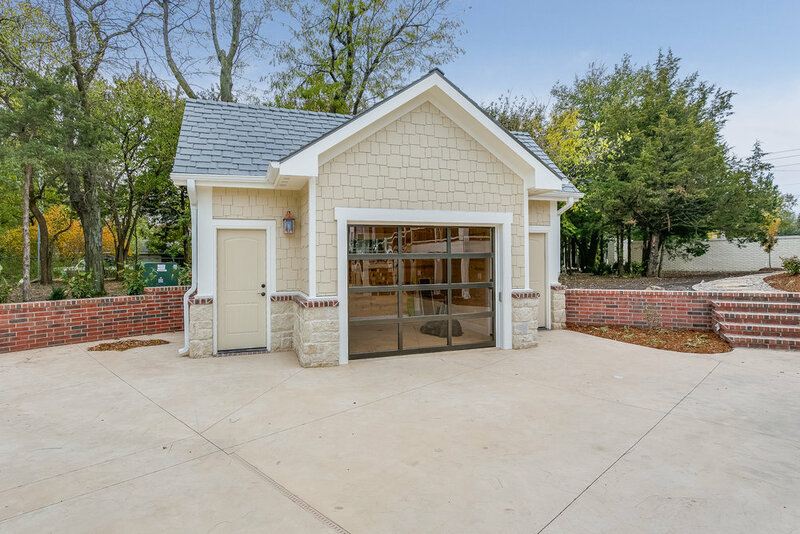 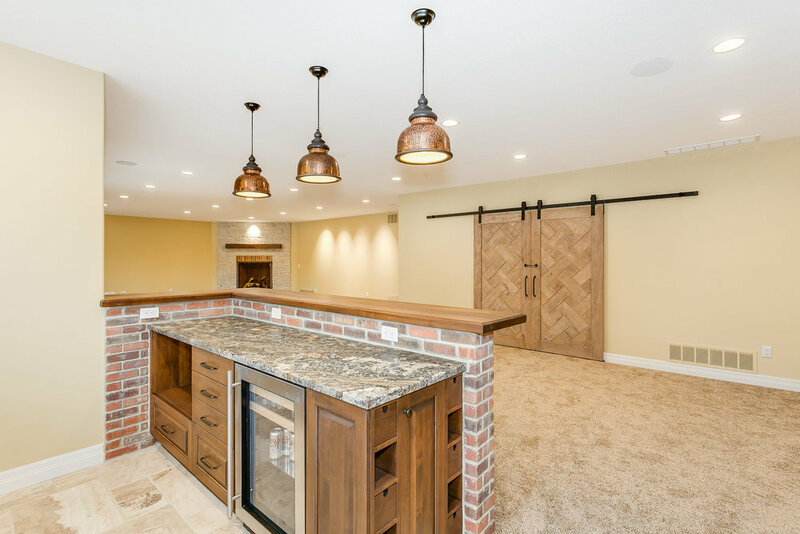 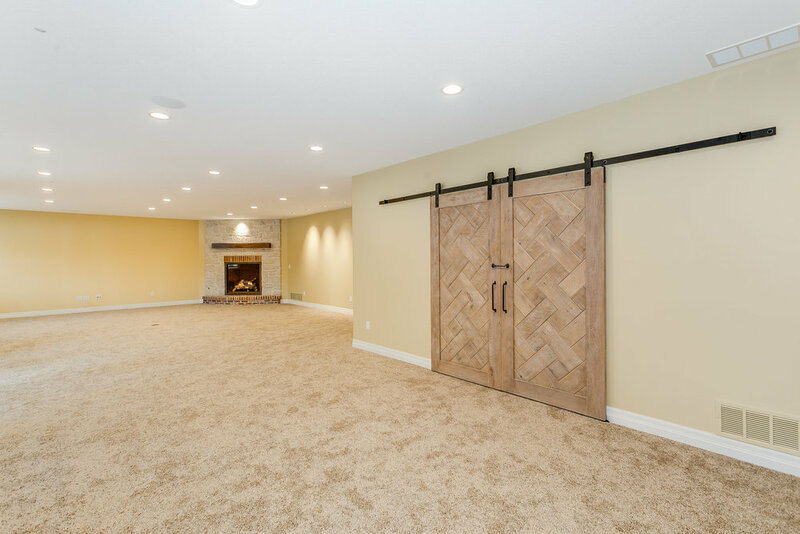 The basement also includes a large craft/art space with a custom made barn door entrance, lots of space for storage as well as a storm shelter under the front porch. 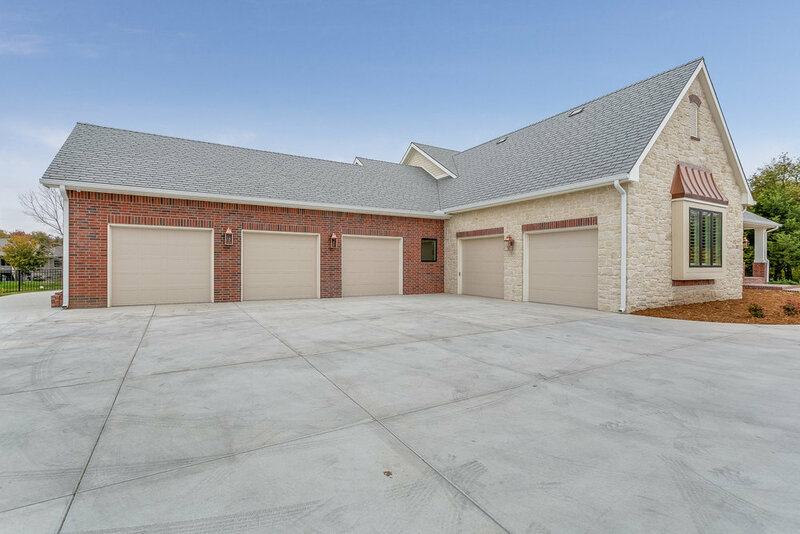 And don’t forget the oversized 5 car garage with plenty of storage.